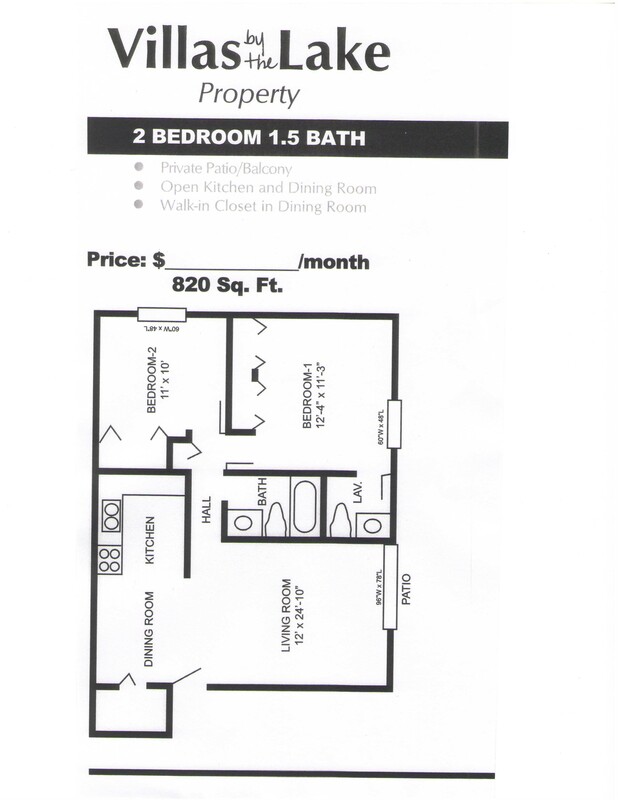 2 Bedroom 1.5 Bath-Smaller Floorplan - Floor Plan - Pace Realty Group, Inc. These units are our medium size two bedrooms. They provide a full bathroom conveniently located in the main hallway between the two bedrooms, but also has half a bathroom in the master bedroom. Not only do these units have a great open kitchen and dining room, but also a spacious walk-in closet off of the dining room.